Peter Tatchell has joined with activists from Syria Solidarity UK to disrupt a speech by Jeremy Corbyn, and urge the Labour Party to pursue “actions not words” to save civilians in Aleppo. 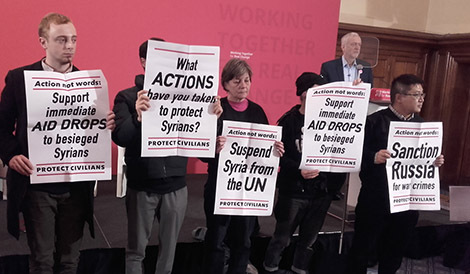 Jeremy Corbyn was outlining the Labour Party’s commitment to fundamental rights on Human Rights Day, when activists silently took to the stage with placards saying ‘Action not words: Back UK Aid Drops now’. ‘On this day, politicians across the world have gathered to give speeches and celebrate the noble sentiments in the Universal Declaration of Human Rights. Support calls for humanitarian access to besieged areas in Syria. 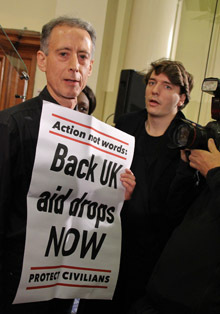 Push for a parliamentary vote on unilateral UK aid drops. Demand the suspension of Syria from the UN until it agrees to a ceasefire, and stops blocking aid to besieged areas. 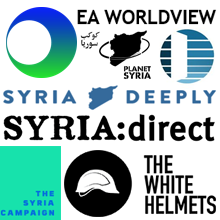 Request UN supervised evacuations of the White Helmets and the civilian population. 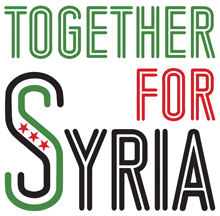 Contact info@syriauk.org for more information. Well done Syrian Solidarity UK. The Left yet again show its shallow misguided response to an excellent protest. Why shouldn’t they protest at a Labour Party Public Meeting, about the destruction and slaughter of their homeland and why shouldn’t Peter Tatchell one of their comrades in solidarity join them. That’s what solidarity is about. Unlike the Left, who continue take their instructions from Moscow, just as they have always done. 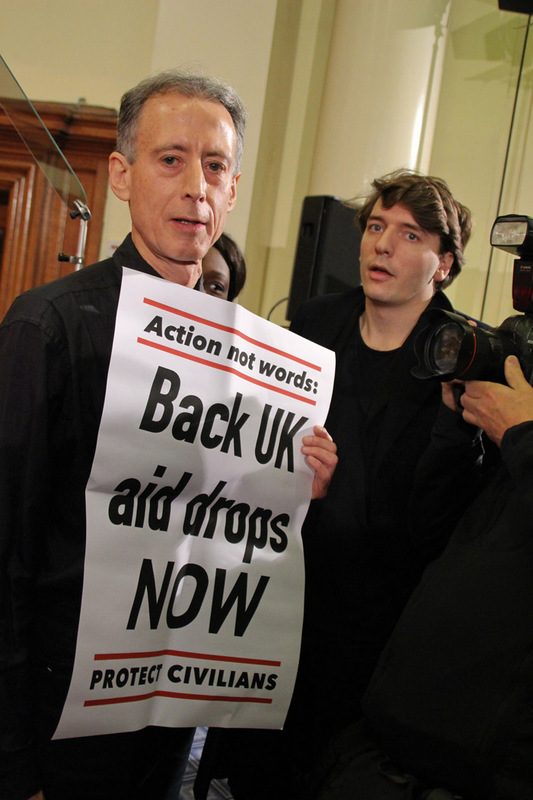 Peter Tatchell has been a fighter for International Human Rights for over forty years, which is a proud political record for any human rights activist, with no political agenda from either Moscow Washington or London. Some of the disgraceful attack on Peter’s activity today, is as reactionary as they can get. The fact is the Syrian Solidarity UK action today, got the front pages and screens of all the International Media. For most decent people, it is far more important to argue and fight for the very basic human right, the right to live, which is not a luxury the Syrian people currently have under the murderous Assad regime. For others the reputation of a Labour Party Leader seems to be their priority. I know which side I am on. Well done Syrian Solidarity UK.